Ruby-zoisite is the natural combination of both ruby and zoisite crystals in a single specimen. 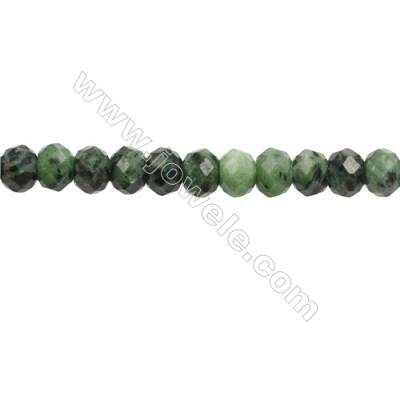 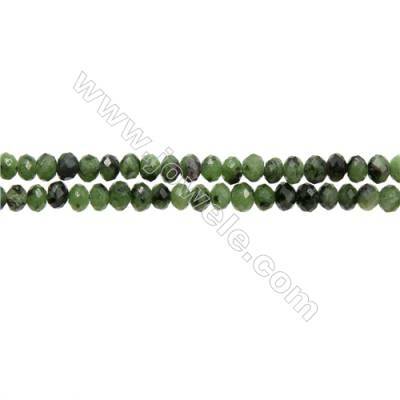 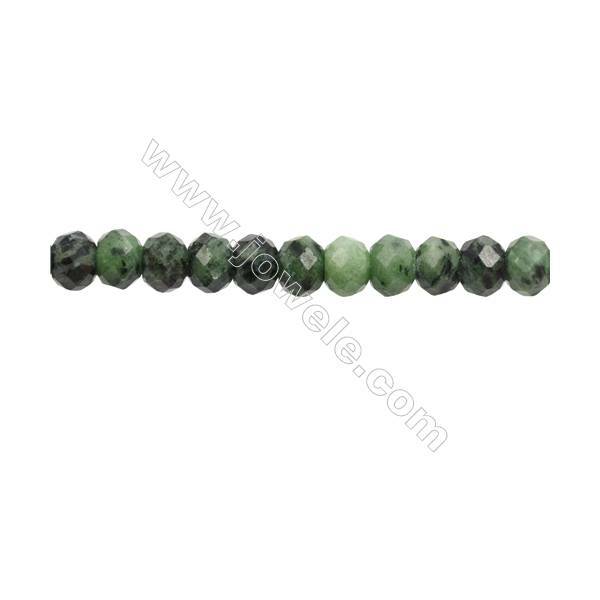 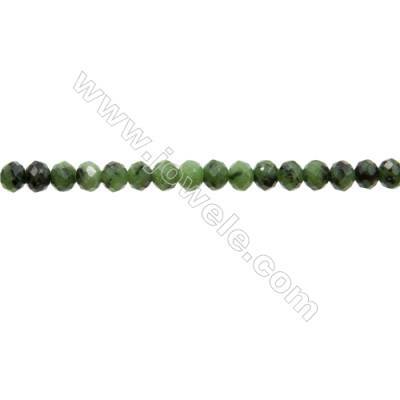 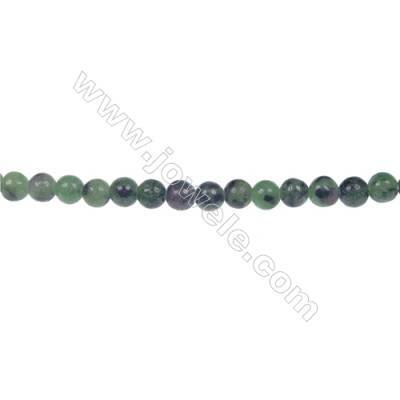 It is also known as "anyolite", a name derived from the Masai word for "green" (anyoli). 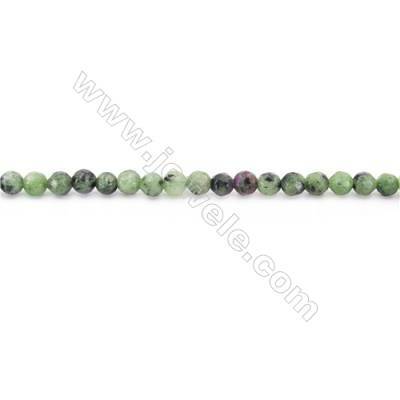 Other name variations include "ruby-in-zoisite" and "Tanganyika artstone". 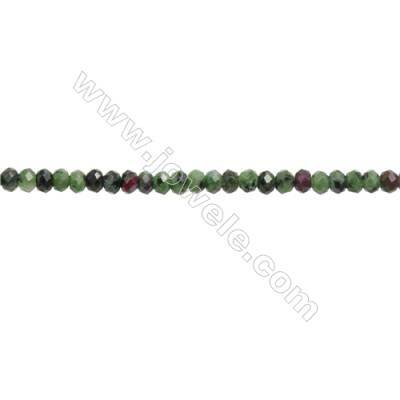 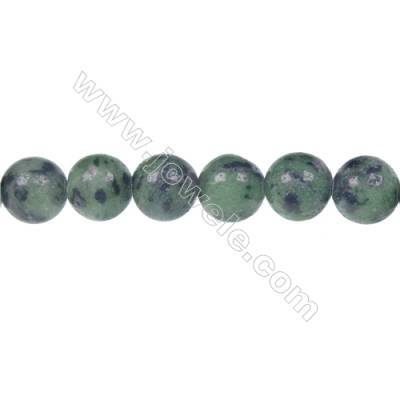 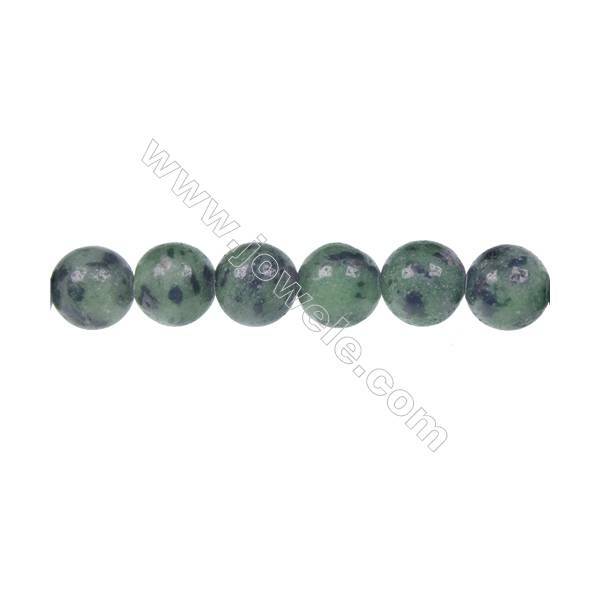 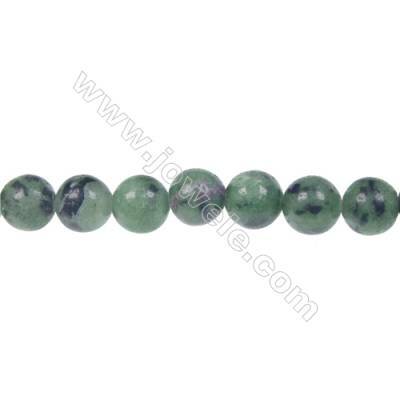 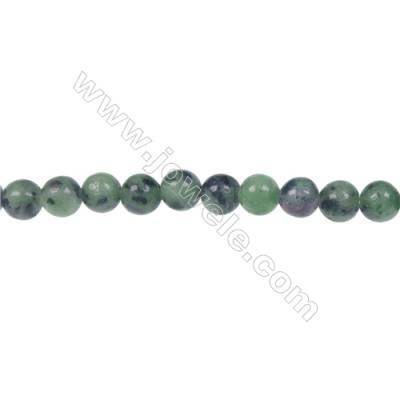 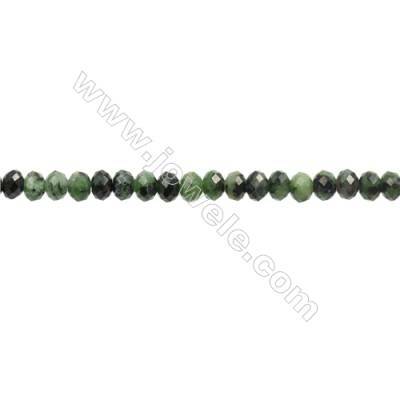 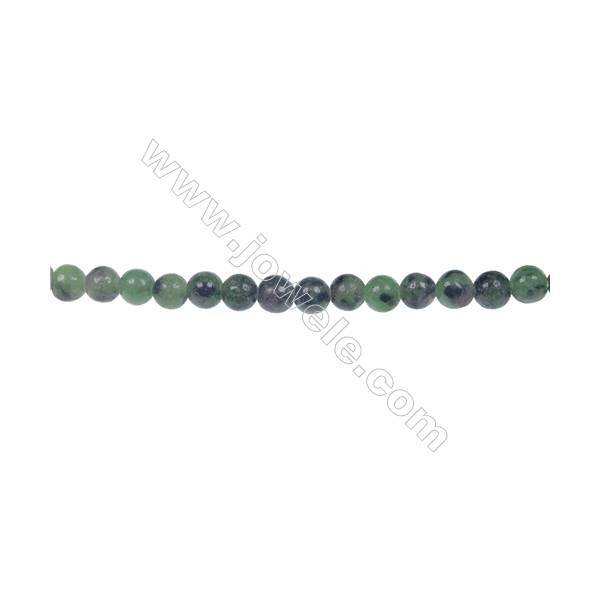 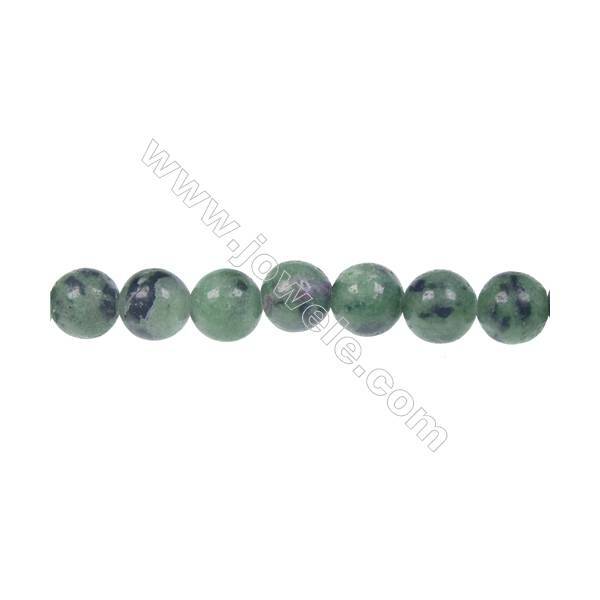 Natural Ruby-Zoisite Strand Beads, Diameter 10mm , Hole 1.2 mm, 40 beads/strand, 15~16"
Wholesale price Ruby-Zoisite 8mm round strand beads, Hole 1.2 mm, 52 beads/strand, 15~16"
Popular DIY jewelry making Ruby-Zoisite 6mm strand round beads, Hole 1 mm, 66 beads/strand, 15~16"
Round ruby zoisite strand beads, Diameter 4 mm, Hole 0.8mm, 98 beads/strand, 15~16"
Ruby Zoisite Beads Strand Faceted Round diameter 4mm hole 1mm about 96 beads/strand 15~16"
Ruby Zoisite Beads Strand Faceted Round Diameter 3mm hole 0.6mm 129 beads/strand 15~16"
Natural Ruby Zoisite Beads Strand Faceted Abacus Size 3x5mm hole 0.8mm about 113 beads/strand 15~16"
Natural Ruby Zoisite Beads Strand Faceted Abacus Size 4x6mm hole 0.8mm about 96 beads/strand 15~16"
Natural Ruby Zoisite Beads Strand Faceted Abacus Size 7x10mm hole 1mm about 57 beads/strand 15~16"